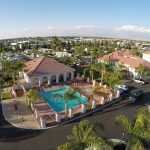 RV Southern California — Golden Village Palms RV Resort delivers. RV Southern California — Golden Village Palms RV Resort is your Golden State home base. 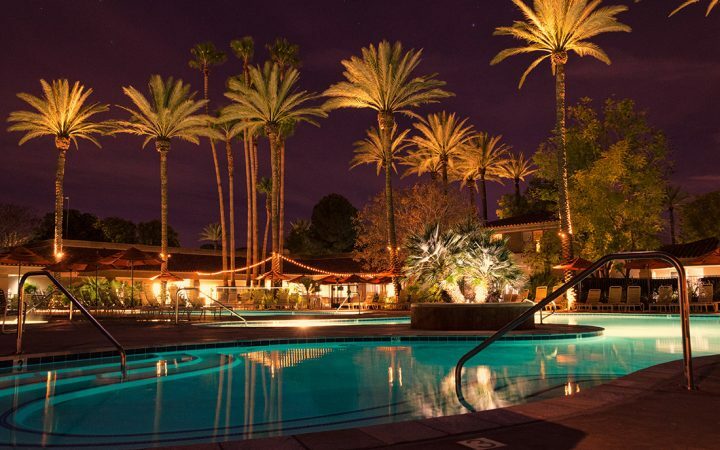 Surrounded by serene natural beauty and convenient to the entire San Jacinto Valley — not to mention an easy drive to Palm Springs, Los Angeles, Orange County and San Diego — Golden Village Palms RV Resort offers a beautiful resting place while exploring Southern California. Whether visitors spend the day shopping in Palm Springs, discovering Diamond Valley Lake, wine tasting in the Temecula Valley or hiking Joshua Tree National Park, they have a picture-perfect home base to return to. Does the phrase “winter wonderland” bring to mind an image of a blanket of snow on your front lawn, walkway and porch — and all the tedious work that comes with clearing it? Around these parts, winter wonderland consists of a sparkling pool and a sunny day in which to relax in it. Excellent year-round weather in Hemet means you can leave the parkas behind and enjoy the warm air, as well as the people you meet in this friendly city. 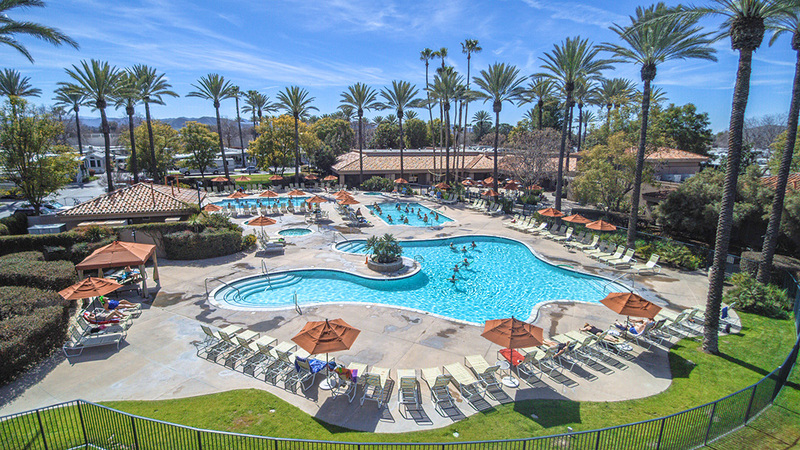 Rich with on-site, resort-style amenities and a calendar of ongoing resort events and activities, Golden Village Palms RV Resort is a destination unto itself. 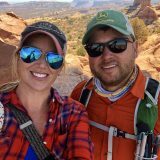 It’s not unusual for guests to extend their stay to enjoy an extra game or two of pickleball, take part in a billiards or golf tournament or get together with new friends at a Saturday Night Dance. Three pools, a fully equipped fitness center, a clubhouse with scheduled events, and sand volleyball courts are a few of the many amenities that keep guests happy, active, and social. Guests don’t even have to leave the resort to relax by the pool, have a drink or two at a “mocktail” party or listen to live bands during the resort’s Concert Series, kicking off this year with British Invasion on New Year’s Eve. 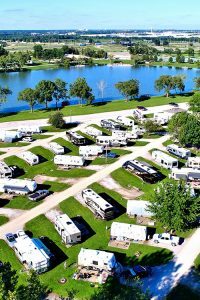 It’s not just the RV crowd that has fallen for the charms of Golden Village Palms RV Resort. 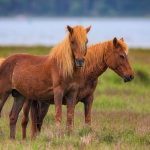 This favorite resort also offers cottages available to buy and rent for travelers who want all the advantages of the resort without having to buy an RV. The cottages present five-star, eco-friendly comfort with a full kitchen and dining nook, a spacious living room, a master bedroom with ample storage, a full bathroom and a patio. 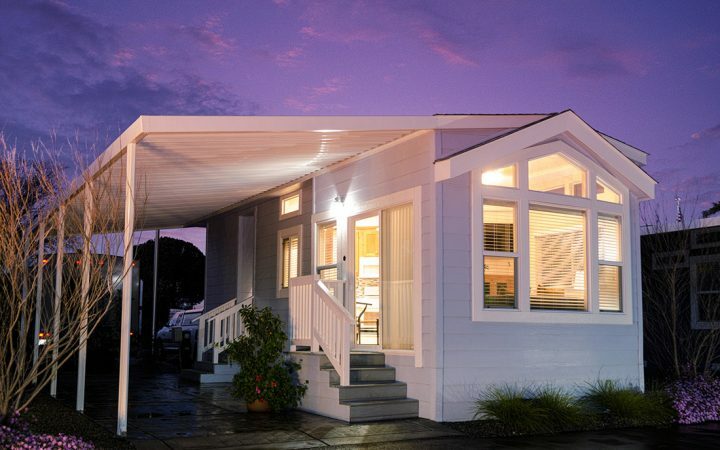 Even better — when you own a cottage, you don’t ever have to worry about making a reservation or planning in advance to come spend time at Golden Village Palms when you RV Southern California! For more information or to make a reservation at Golden Village Palms RV Resort, call 866-477-6154.